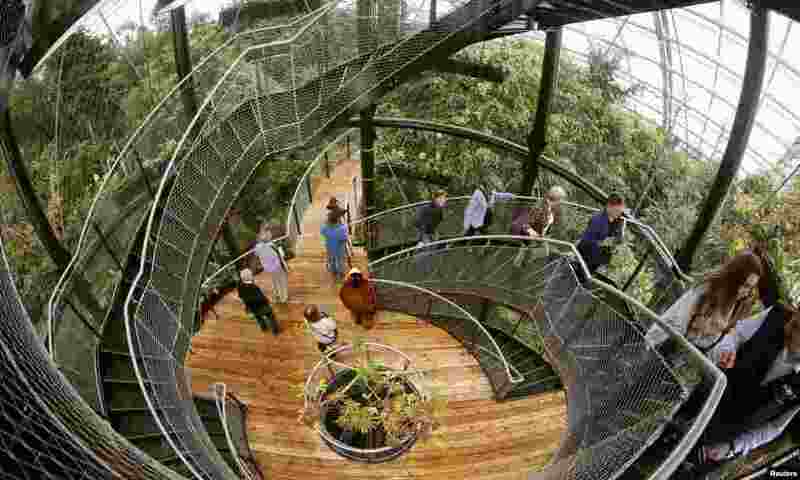 5 Visitors climb up stairs on the newly opened treetop path in the Masoala Rainforest hall at the zoo in Zurich, Switzerland. 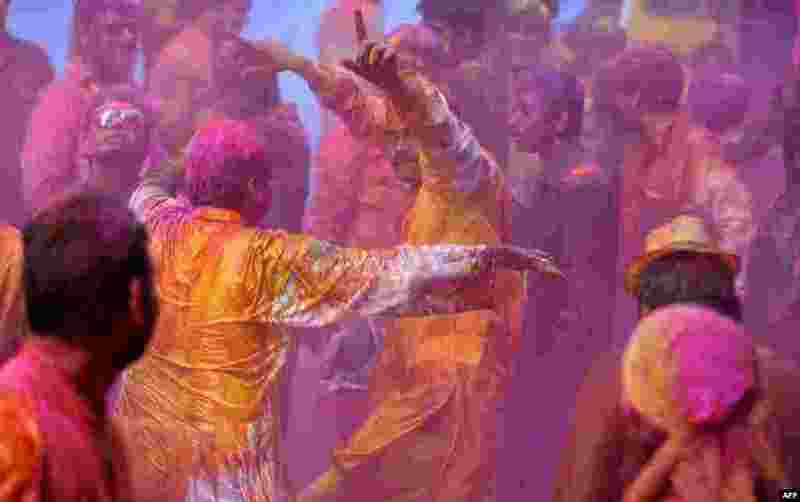 6 Indian people apply colored powder and dance during Holi celebrations in Hyderabad, India. 7 Oman's Amad Al Hosni (R) collides with Australia's Robert Cornthwaite as they struggle for the ball during their World Cup qualifying soccer match in Sydney, Australia. 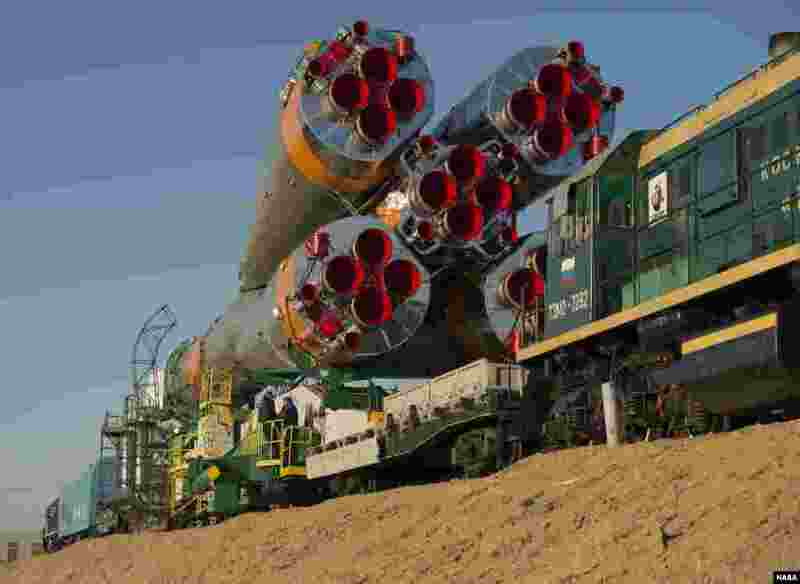 8 The Soyuz rocket is rolled out to the launch pad by train at the Baikonur Cosmodrome in Kazakhstan, (NASA/Carla Cioffi).